Innovision (15.12.2008) - First anniversary of the postal link Taiwan - China. Commemorative folder including: Black printing, machine number 110. 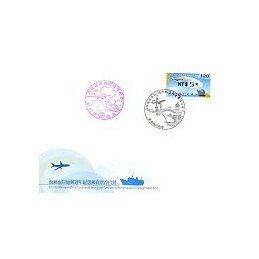 - 2 mint sets of 4 values (NT$ 5-12-25-32 and NT$9-13-15-17). Magenta printing, machine number 120. 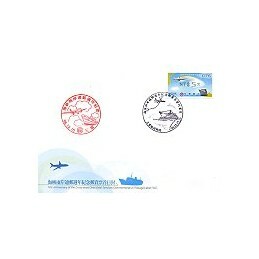 - 2 mint sets of 4 values (NT$ 5-12-25-32 and NT$9-13-15-17). - ATM SPECIMEN. Innovision (15.12.2008) - First anniversary of the postal link Taiwan - China. Commemorative folder including: Black printing, machine number 122. 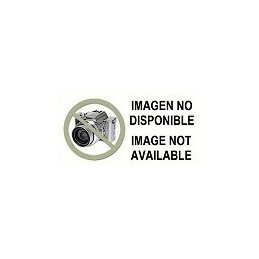 - 2 mint sets of 4 values (NT$ 5-12-25-32 and NT$9-13-15-17). Magenta printing, machine number 121. 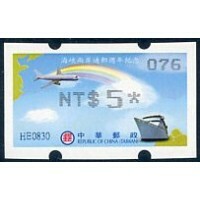 - 2 mint sets of 4 values (NT$ 5-12-25-32 and NT$9-13-15-17). - ATM SPECIMEN. Innovision (15.12.2008) - First anniversary of the postal link Taiwan - China. Black printing, machine number 92. Mint ATM (NT$ 5). Innovision (15.12.2008) - First anniversary of the postal link Taiwan - China. Black printing, machine number 93. Mint ATM (NT$ 5). Innovision (15.12.2008) - First anniversary of the postal link Taiwan - China. Black printing, machine number 94. Mint ATM (NT$ 5). Innovision (15.12.2008) - First anniversary of the postal link Taiwan - China. Black printing, machine number 95. Mint ATM (NT$ 5). Innovision (15.12.2008) - First anniversary of the postal link Taiwan - China. Black printing, machine number 076. Mint ATM (NT$ 5). Innovision (15.12.2008) - First anniversary of the postal link Taiwan - China. Black printing, machine number 078. Mint ATM (NT$ 5). Innovision (15.12.2008) - First anniversary of the postal link Taiwan - China. Black printing, machine number 085. Mint ATM (NT$ 5). Innovision (15.12.2008) - First anniversary of the postal link Taiwan - China. Black printing, machine number 086. Mint ATM (NT$ 5). Innovision (15.12.2008) - First anniversary of the postal link Taiwan - China. Black printing, machine number 117. Mint ATM (NT$ 5). Innovision (15.12.2008) - First anniversary of the postal link Taiwan - China. Black printing, machine number 118. Mint ATM (NT$ 5). Innovision (15.12.2008) - First anniversary of the postal link Taiwan - China. Black printing, machine number 119. Mint ATM (NT$ 5). Innovision (15.12.2008) - First anniversary of the postal link Taiwan - China. Black printing, machine number 122. Mint ATM (NT$ 5). Innovision (15.12.2008) - First anniversary of the postal link Taiwan - China. Black printing, machine number 123. Mint ATM (NT$ 5). Innovision (15.12.2008) - First anniversary of the postal link Taiwan - China. Black printing, machine number 124. Mint ATM (NT$ 5). Innovision (15.12.2008) - First anniversary of the postal link Taiwan - China. Black printing, machine number 125. Mint ATM (NT$ 5). Innovision (15.12.2008) - First anniversary of the postal link Taiwan - China. Black printing, machine number 126. Mint ATM (NT$ 5). Innovision (15.12.2008) - First anniversary of the postal link Taiwan - China. Black printing, machine number 95. First day cover with ATM (NT$ 5), postmark type B.
Innovision (15.12.2008) - First anniversary of the postal link Taiwan - China. Black printing, machine number 076. First day cover with ATM (NT$ 5), postmark type B.
Innovision (15.12.2008) - First anniversary of the postal link Taiwan - China. Black printing, machine number 120. First day cover with ATM (NT$ 5), postmark type A.
Innovision (15.12.2008) - First anniversary of the postal link Taiwan - China. Black printing, machine number 121. First day cover with ATM (NT$ 5), postmark type A.
Innovision (15.12.2008) - First anniversary of the postal link Taiwan - China. Black printing, machine number 94. 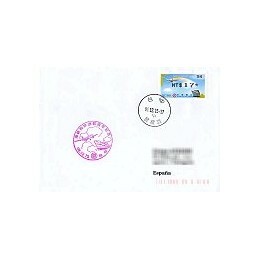 First day cover mailed to Spain (NT$ 17), date postmark. Innovision (15.12.2008) - First anniversary of the postal link Taiwan - China. Black printing, machine number 076. 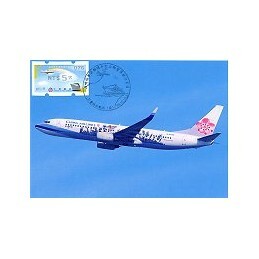 Maximum card with ATM (NT$ 5), commemorative postmark type B.
Innovision (15.12.2008) - First anniversary of the postal link Taiwan - China. Black printing, machine number 120. 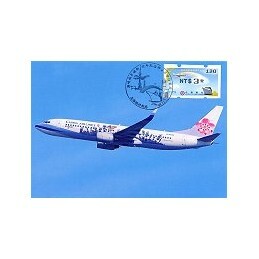 Maximum card with ATM (NT$ 3), commemorative postmark type A.